Shiny new Wreckfish was round the corner, Maray even closer, and there was a pizza on the menu called – LOL – ‘My Spicy Cousin Vinny’. 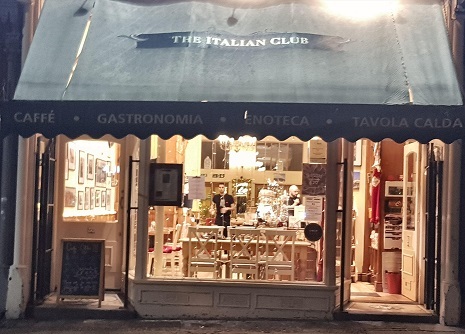 But the hungover need for the warm embrace of carbohydrates can do things to a man, which is how we came to be at The Italian Club. It’s too bright and All Saints are on the stereo. Not a problem if it’s “Never Ever” blasting out – classic – but it’s “The Beach”, so I’m ready to re-coat and toddle off, but am too knackered to do either. We plough on. 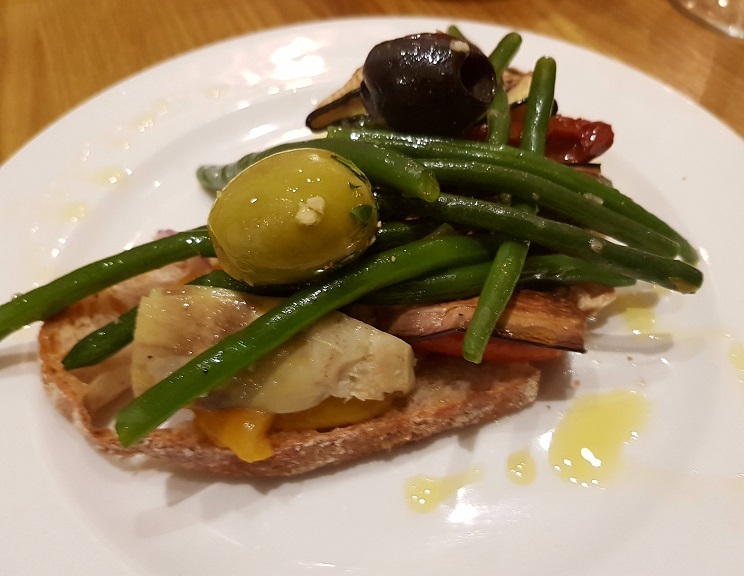 Bruschetta Mediterranea is as mundanely decent as veg on toast can probably be. What’s lacking in pizzazz is, I s’pose, made up for in its (futile) contribution to my five-a-day. 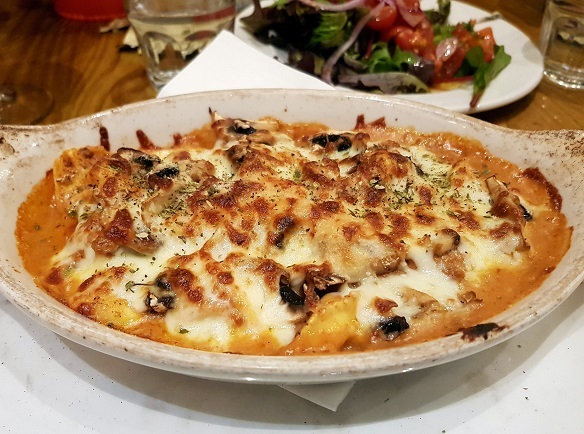 I can’t really have a go at the restaurant for my lame choice, but after “grilled Italian vegetables” they could probably do with adding “from a fridge-cold jar” in the menu description. 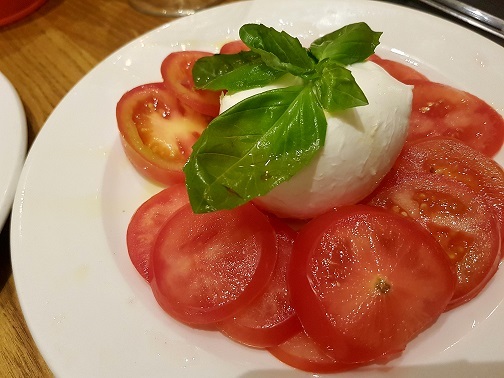 Similarly chilly were the fanned tomatoes in an Insalata Caprese, rendering them watery and bland. Good lactic mozzarella though. I wish the pace was as chilled as those tomatoes: starters are taken away in the same action as the next lot are put down. Bit annoying, but beyond that the front of house bunch are a friendly lot and, always welcome, unsparing with their parmesan sprinkles. I ask for the “Signor Maurizio” pizza feeling, of course, like a right prick. They mean ham. 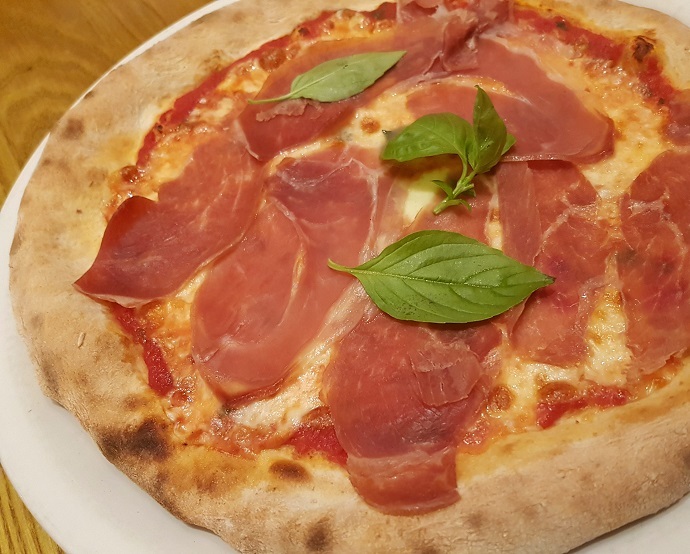 I thought we’d reached a point of national wood-fired pizza excellence but, passable as it is, there’s no proper char or chew on this one, and the cooked Parma ham tastes wrong. Too good to be heated through, I reckon. A note on the menu tells me they’ll bung some tabasco sauce on it if I want it ‘hot and spicy’. I sigh. From the specials: tortellini bolognese. A dish less like Mamma Used to Make and more like what Dad Who Couldn’t Cook used to make when mum was working late. The first couple of mouthfuls do the job, but then it descends into stodge. And I usually like stodge. To be fair, it’s yer classic old-timer restaurant, this; been around for a bit, a dab hand at parties and “do’s” and there might even be an over-sized pepper mill knocking about. Nothing’s inedible and the staff are sound. It is what it is, but things have moved on and it isn’t for me. Tortellini: about a tenner if my wine-addled memory is correct.